The Cost of Goods Sold account set up would generally look as follows. 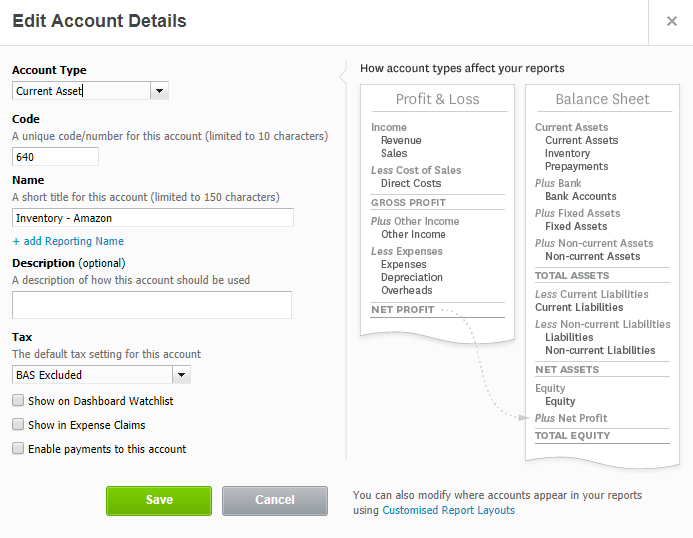 The Account Type is Direct Costs. The 'Code' can be assigned to run in sequence with your chart of accounts. The Name can be anything you would like to assign. The Inventory Asset account set up would generally look as follows. The Account Type is Current Assets. The 'Code' can be assigned to run in sequence with your chart of accounts. The Name can be anything you would like to assign. 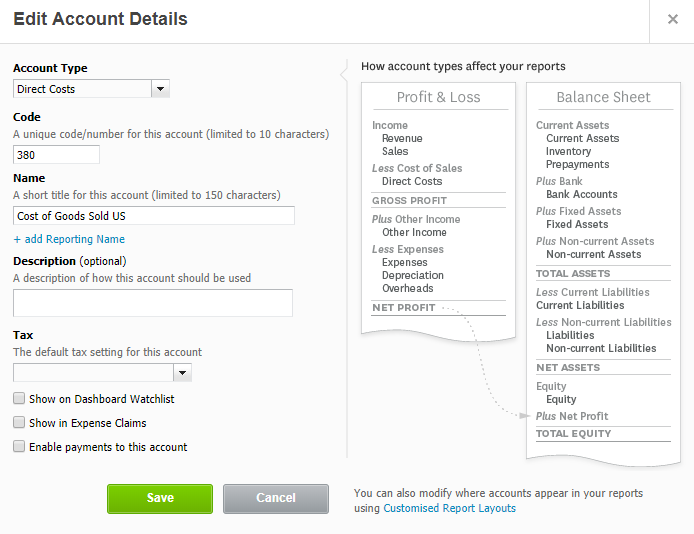 Once you have created the necessary accounts you need in Xero then you can return to A2X. 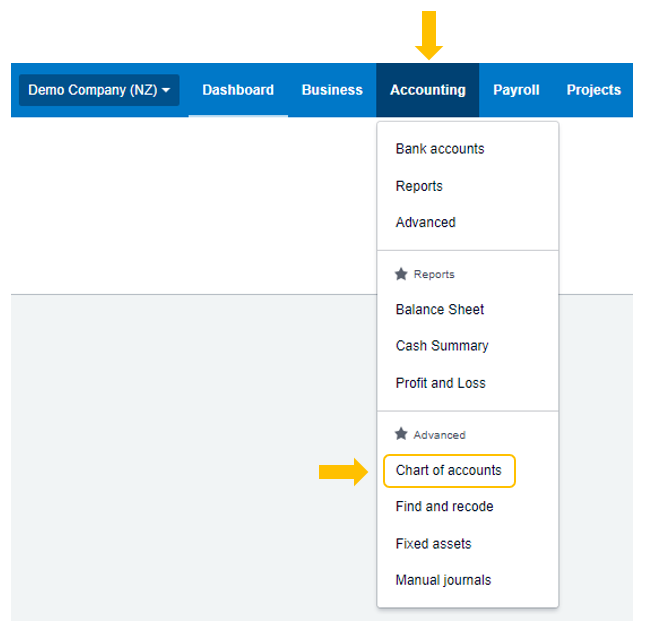 For A2X to be able to see the new accounts in the Costs Settings page you will need to go to A2X Settings > Connections and click the Refresh Xero Cache button.